Design size: 14 ?" x 14 ?" 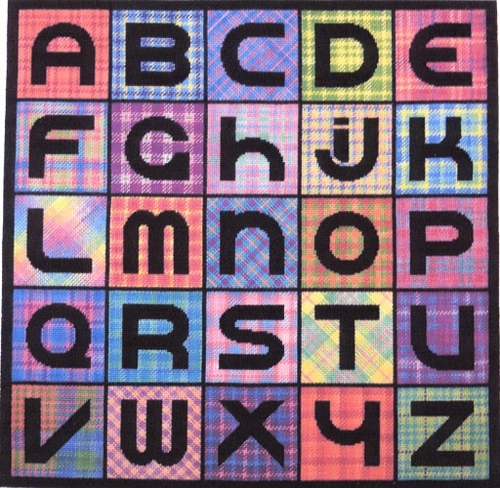 -- Individual letter blocks: 2 ?" x 2 ?" Stitched on 18m white mono canvas with DMC cotton floss and Gumnut Yarns Poppies silk/wool threads. 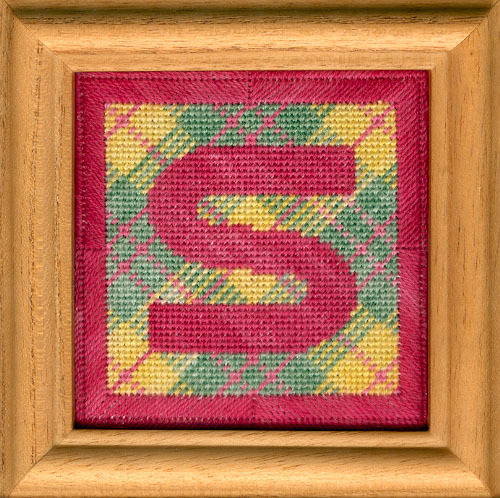 Our model shown to the right above is the letter "S" stitched in the letter "T" colors and pattern -- just one example of how these letters and plaids can be "mix and match". 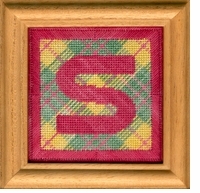 Price below is for the charted design only.